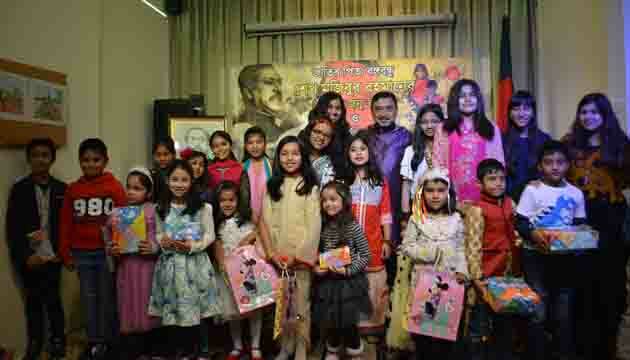 Embassy of Bangladesh in The Hague celebrated the 99th Birth Anniversary of the Father of the Nation Bangabandhu Sheikh Mujibur Rahman and National Children’s Day 2019 with due solemnity and fervour. To observe the day, an elaborated program was undertaken by the Embassy. A good number of expatriate Bangladesh community, along with their children, attended the program. The program of the day started with recitation from the Holy religious scripts. Messages of Hon’ble President, Hon’ble Prime Minister, Hon’ble Foreign Minister and Hon’ble State Minister of Foreign Affairs issued on this special occasion were read out to the audience. A special prayer (munajat) was offered seeking divine blessings for the eternal peace of Bangabandhu Sheikh Mujibur Rahman and his family members who were martyred as well as for the peace and prosperity of the country. Salvation were also sought for the people who died in the tragic fire accident on 20 February 2019. 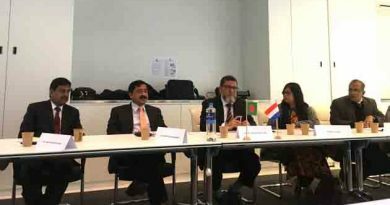 Participating in the discussion session, leaders and members of Holland Awami-League paid tribute to the Father of the Nation Bangabandhu Sheikh Mujibur Rahman. Among them Mr. Joynal Abedin, Mr. Mostafa Zaman delivered their brief remarks in remembrance of the Father of the Nation. 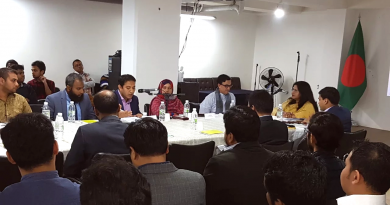 Among the trainee officers from the Ministry of Foreign Affairs, Dhaka to Clingendael Institute in The Hague, Mr. Mahbubur Rahman also participated in the discussion. They highlighted Bangabandhu’s charismatic leadership and sacrifices in uniting the whole nation for independence and leading the Liberation War of Bangladesh. They urged all to work together for achieving the Hon’ble Prime Minister Sheikh Hasina’s ‘Vision 2021’ and ‘Vision 2041’. In his statement, Ambassador of Bangladesh to the Netherlands H.E. Sheikh Mohammed Belal portrayed Bangabandhu as a visionary and charismatic leader and highlighted his people-centered, brave and compassionate leadership. 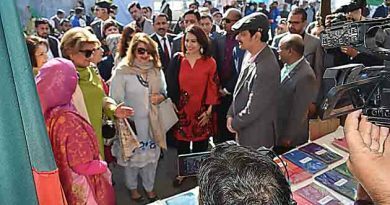 The Ambassador mentioned that Bangabandhu had a great vision but unfortunately he did not get enough time to materialize his dreams for the country and its people whom he loved more than himself. He further highlighted that the responsibility is now upon all of us to build the nation about which he dreamt for. He urged members of Bangladesh community to join with renewed spirit in the development journey of Bangladesh from their respective positions. 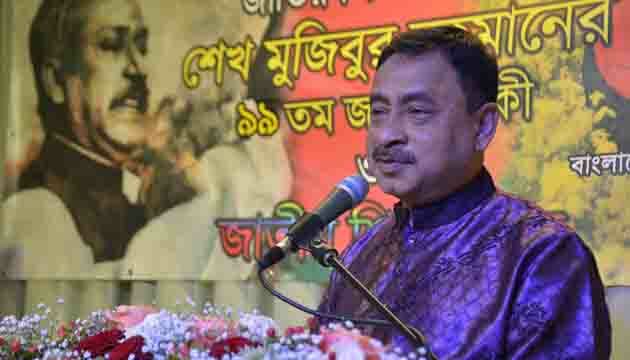 He requested them to inculcate Bangabandhu’s ideology and principle among our next generation. Taking lessons from the life and ideals of Bangabandhu Sheikh Mujibur Rahman, the Ambassador urged the trainee officers of the Ministry of Foreign Affairs to avail any opportunity to visit rural Bangladesh to know the rural people and their aspirations with a view to preparing themselves to better contribute to the development journey of Bangladesh. On the occasion of National Childrens’ Day, Ambassador Belal congratulated the children and touched upon Bangabndhu’s closeness with children. He attributed the children attending the program as the special guests and appreciated the way they are growing up embracing Bangbandhu’s life as a role model. The children participated in painting and quiz competition on Bangabondhu and Bangladesh. Later, a brief cultural programme was presented by children of the Embassy family and Bangladesh community. Ambassador Sheikh Mohammed Belal distributed prizes to all participants of painting and quiz competition at the end of the programme. He also cut a birthday cake of Bangabandhu along with the children and shared a piece with each of them. All the guests were served with lunch after the ceremony. ← Bangabandhu’s Birth Anniversary celebrated amid festivity at Bangladesh Embassy in Washington, D.C.